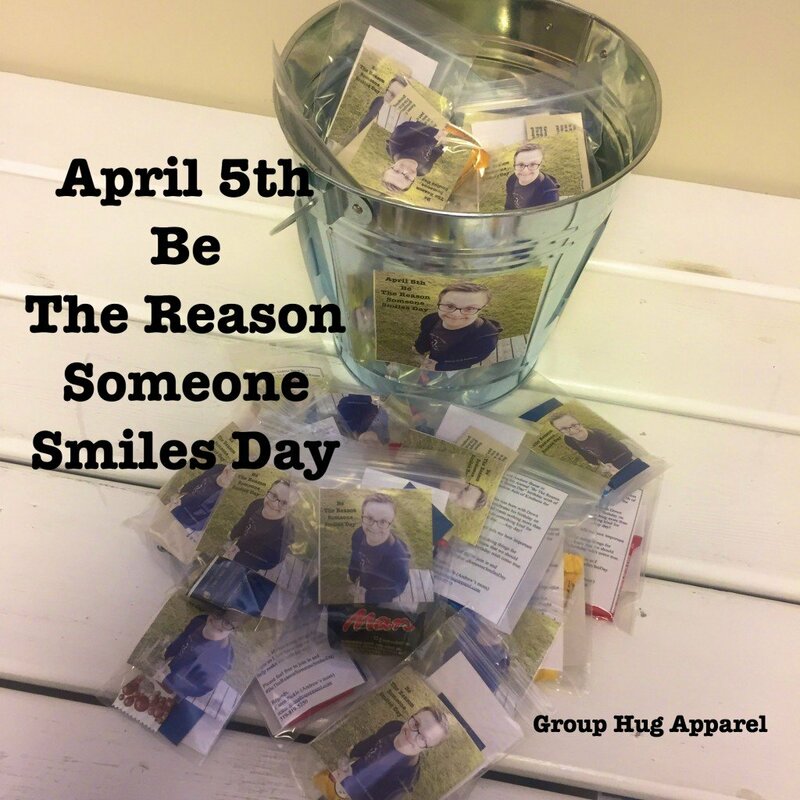 Join my son Andrew Banar in celebrating his Annual “Be The Reason Someone Smiles Day” birthday wish of doing Random Acts of Kindness for others. Andrew who was born with Down syndrome celebrates his birthday on April 5th and wants nothing more than for others to do something kind for someone that day……Any day! Andrew always tells me how important to help others. And he is always doing things for others so I just knew that we should help make his birthday wish come true. 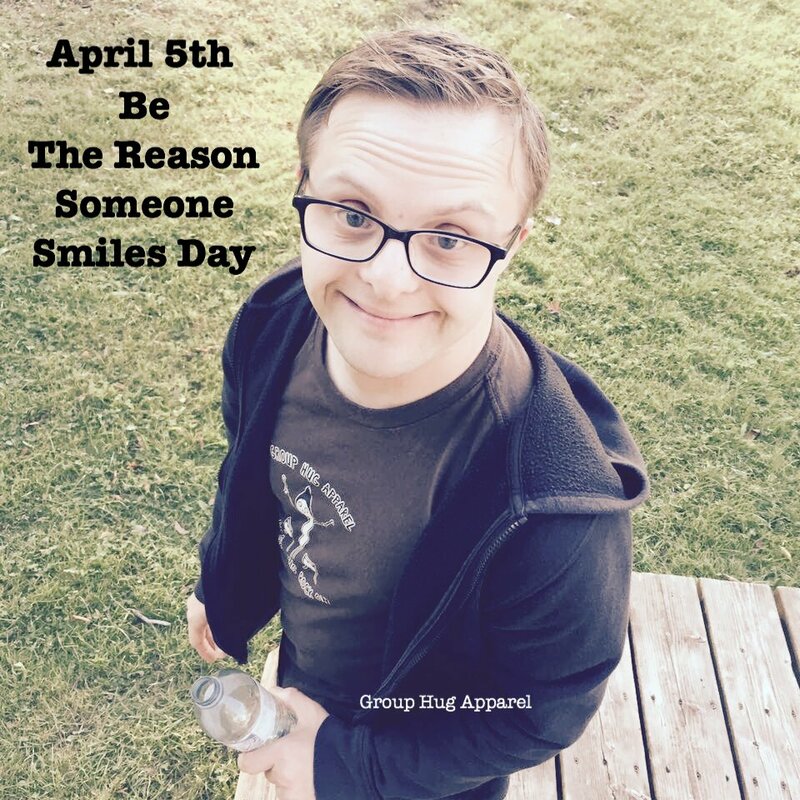 This entry was posted in Be The Reason Someone Smiles Day, Down syndrome and tagged Andrew's Birthday Wish, Be The Reason Someone Smiles Day, Group Hug Apparel, Helping Others. Bookmark the permalink.